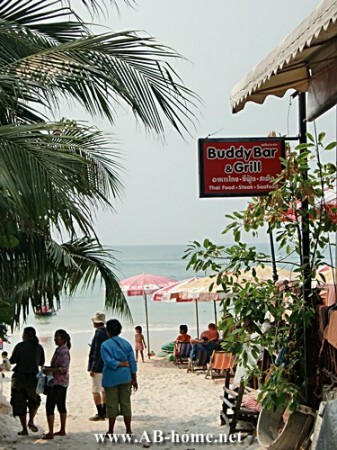 Buddy Bar and Grill is a beach restaurant at Had Sai Kaeow on Samed Island. 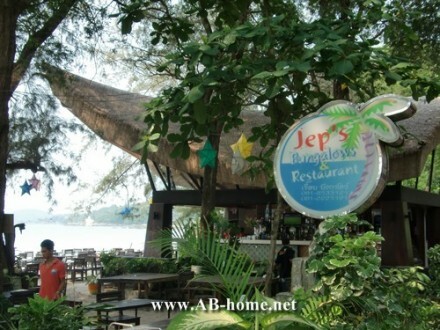 It offers BBQ, international and local dishes, seafood and a huge varienty of drinks direct on the white sand of the beautiful beach on Koh Samed in Thailand. The most custumers are tourists who enjoy the view to the Gulf. Here at Buddys Grill and Bar you can relax in the afternoon or take a candlelight dinner for resonable prices. 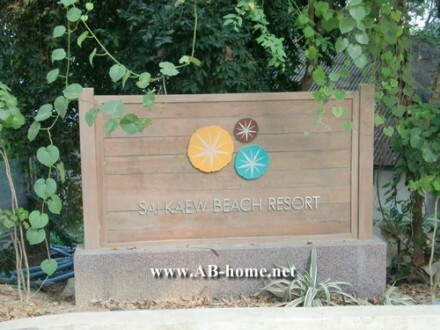 Saikaew Villa Resort is located as the name implies at Ao Sai Kaew Beach on Koh Samed in Thailand. 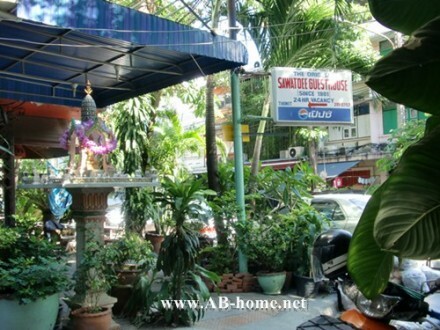 The rooms and bungalows at Saikaew are equipped wit a mini bar, ac or fan, tv and Thai furnitures. At the wellness area of the hotel you can get traditional Thai massages and all kind of spa appliances. There are several restaurants at Saikeaw Villa resort Ko Samet, one is next to the sea where you can spend romantic evenings with a sea food candle light dinner. If you choose Saikaew Resort as your accommodation on Ko Samed than you can enjoy a world in nature for complete relaxion. Tubtim Resort is direct on the white beach of Ao Phutsa. It has simple fan bungalows and luxury huts with air con, TV and minibar. For activities like snorkeling, kayaking or scuba diving you can contact the reception staff. From the restaurant and bar of Tubtim bungalow resort you can watch the quiet beach and the crystal clear water of the tropical sea. 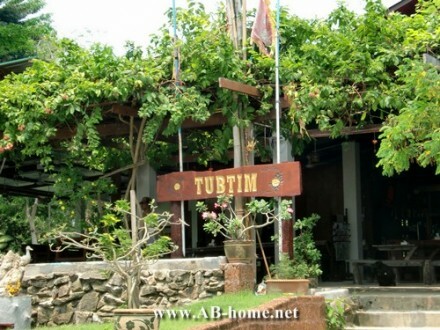 Tubtim on Koh Samed is as well perfect for honeymoon, the team offer great wedding events direct on Tubtim Beach/Ao Putsa. The nature around and the typical luxury Thai style huts are landmarks of Tubtim and makes it to a unique accommodation with flair and style on Ko Samet in Thailand. 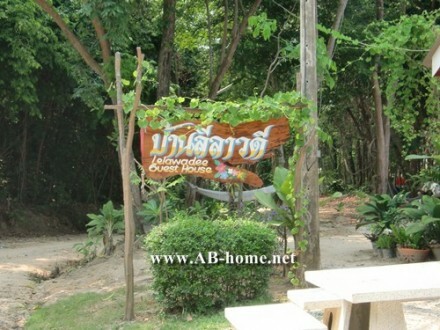 Lelawadee is a simple Guest House at Ao Pudsa on Koh Samed. To the beach of Tubtim it’s a 5 minute walk. The rooms of Ban Lelawadee Guesthouse are well furnitured with fridge, air con/fan, hot/cold water shower and maid service. The quiet position a bit in the inland of Koh Samed is perfect to enjoy the cozy island life in Thailand. Ban Leelawadee is the perfect accommodation for budget traveler who looking for a simple guest house with good and friendly service in the heart of Ko Samet. Enjoy your stay and the warm asian sun on this small island in Thailand. 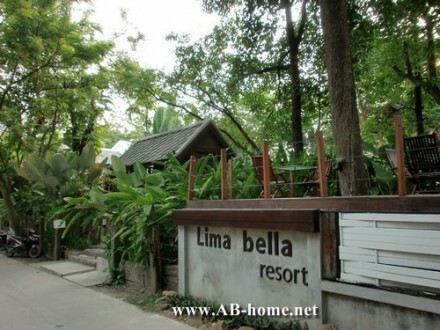 The Lima Bella is located on the popular beach Had Sai Kaew in the north of Koh Samed. It offers deluxe rooms and boutique accommodation. At Lima Bella Resort are Thai Massages and good local and international food in the restaurant avalible. For tours and activities on Ko Samet and around Thailand you can contact the compotent staff of this luxury Resort. The beautiful rooms in asian style and the fantastic garden oround the hotel pool are reasons as to why to stay at Lima Bella Koh Samed. The white sandy beach of Sai Kaew is also just a short hop. Around the Lima Bella Resort are some shops, massage studios and bars for entertainment and souvenir shopping on your hollidays on this tropical island in Southeast Asia. 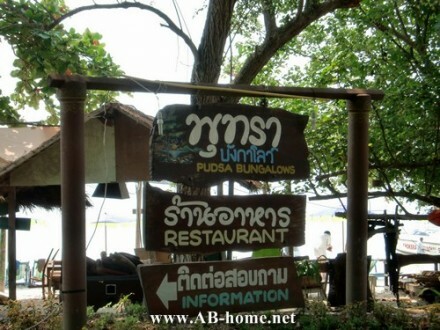 Pudsa Bungalows is a collection of simple budget bungalows on Ao Tubtim/ Phutsa beach on Koh Samet. The cheap and quiet huts are all with a shower, A/C or fan, mini bar, daily maid service and a big terrace where you can enjoy the breeze of the Gulf of Thailand. The best way to get there is by taxi from the ferry pier on Koh Samet. Pudsa Resort is a good choice for all who looking for clean and quiet accommodation on a beautiful bay for small money. 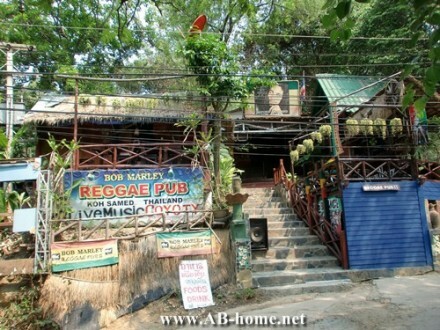 The wooden bungalows are very poular for backpackers and travelers who like to spend some nice days in Thailand. 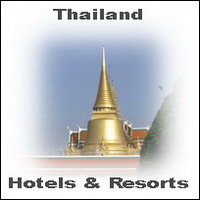 Thailand Hotel booking here. The 4 Star Sai Kaew Resort is located on the beach of the same name in the north of Ko Samet. It offers luxury and well desined rooms and bungalows in a beautiful Asian garden with swimming pool. All rooms of Sai Kaew Beach Resort are equipped with A/C, minibar, hot water bathroom and all other amenities what you exept from a boutique spa hotel on a tropical island in Thailand. From the restaurant you can enjoy the fantastic view over the Gulf of Thailand. In the afternoon you can enjoy a cup of fresh coffee and a croisant in the cafe of Sai Kaew Beach. This is the right choice for honeymooners and tourists who like luxury hotels and boutique accommodation. Sai Kaew Beach Resort is one of the best hotels on Koh Samed, if you like to book Samed accommodation click here.